Custom Enterprises makes design/build projects simple and affordable! Here at Custom Enterprises Inc., we feel that anything is possible. If a project is planned and designed properly, any idea can easily become a reality. Our representatives will show you how to properly plan and execute a custom design/build project. We will handle the entire process from planning and inspections to construction and daily clean-up, providing you with a finished product you’ll be proud to own. We design and build decks, retaining walls, landscaping, porches, additions, garages, sheds, playhouses, swing sets, and just about anything that you would like custom built. If you need it built, and want it built right, you can count on us to do it properly and for a reasonable price too. 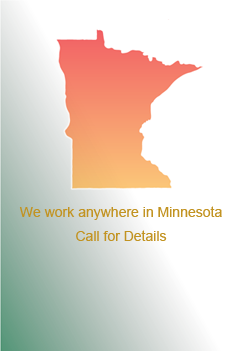 Call us today at 612-735-2722 to schedule your free estimate and consultation.